Even the most baking-averse folks tend to succumb to the holiday spirit and fire up their ovens this month. And why not? Nothing’s better, IMHO, than a batch of freshly baked deliciousness delivered from your kitchen. And this tip is just for you. Since I bake all year round, I never worry about whether or not my baking soda and baking powder are fresh. I use them both regularly and so they get used up before they have a chance to go stale. But for those of you who only pull out those boxes and cans occasionally, take a few minutes to do a quick test to make sure they’re still fresh. The last thing you want is an expired ingredient to undo your cookies, cakes and brownies! 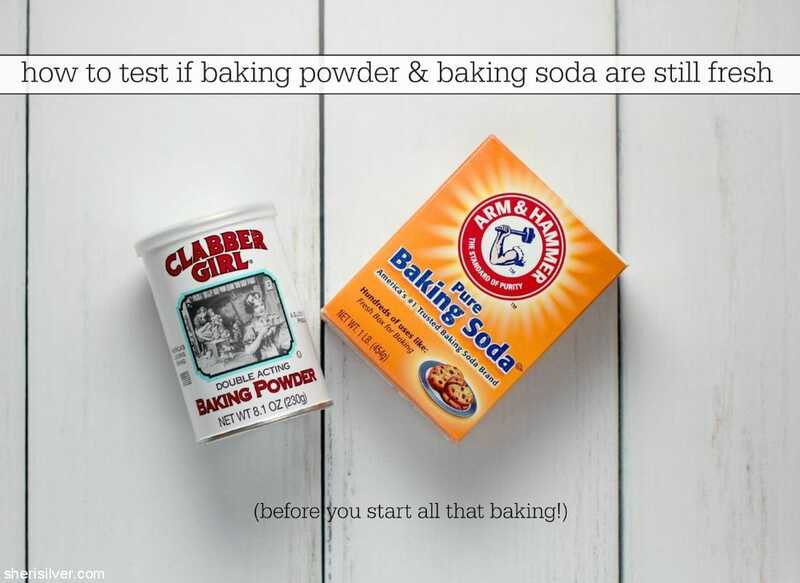 For baking soda, start with 1/2 cup HOT tap water. Add 1/4 teaspoon of white or apple cider vinegar, followed by 1/4 teaspoon of baking soda. You should see immediate bubbling/fizzing. For baking powder, start with 1/2 cup HOT tap water, followed by 1/4 teaspoon of baking powder. Again, you should see immediate bubbling. Of course you can always look at the expiration date on the package. But that’s not always reliable – especially once opened – and given how relatively inexpensive it is to replace these items, better safe than sorry.